Kelly McFadden is a litigator and licensed Registered Nurse who has worked inside health care organizations as a Corporate Compliance Officer, In-House Counsel, Regional Director of Risk Management and Staff Nurse, as well as for a large national law firm. She holds an AV® Peer Review Rating from Martindale-Hubbell, its highest rating for ethics and legal ability. Currently, she devotes her practice to the defense of professionals and their organizations. Ms. McFadden’s particular focus is on the defense of physicians and their practices, senior housing communities, including nursing homes, assisted living, and independent living communities and their staff. Ms. McFadden’s extensive medical knowledge and in-house experience are assets in her trial work and in counseling of clients in health care risk management and regulatory issues. As an in-house attorney, compliance officer and director of risk management, she was heavily involved in developing and implementing HIPAA compliance programs. Ms. McFadden also handled a wealth of regulatory and operational legal issues, including contracts, leases, zoning matters, safety and employment. Additionally, she managed incidents and accidents at various properties; developed and established an assisted living program; established a pharmacy program within an assisted living community; and directed the closing of a sheltered care property. 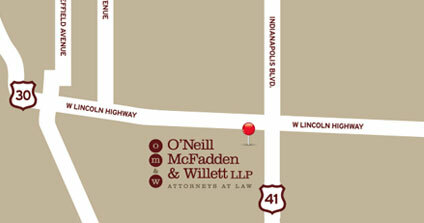 In July 2010, Ms. McFadden left her practice at national law firm, Hinshaw & Culbertson LLP, to become a founding partner of O’Neill McFadden & Willett LLP. The firm specializes in the defense of professional liability claims throughout the State of Indiana, risk management services to professional organizations, as well as health care regulatory issues in Illinois and Indiana. In September 2011, Ms. McFadden was named by the Times Media Company as one of the top “20 Under 40” business dynamos in Northwest Indiana. Spear v. Nootens, Lake Superior Court, Hammond, Indiana, June 1-4, 2009. Defense Verdict. Whether defendant cardiologist failed to properly treat acute bacterial endocarditis resulting in the death of a 17-year-old. Estate of Kissel v. Lomax, Hamilton Superior Court, Noblesville, Indiana, March 9-11, 2009. Defendant dismissed with no payment made on third day of jury trial. Whether defendant pediatrician failed to recommend appropriate vaccination to infant resulting in death from bacterial meningitis. Curry vs. Friedenburg, Marion Superior Court, Indianapolis, Indiana, February 3, 2009. Case dismissed during jury selection. Whether defendant pediatrician failed to properly diagnose and treat diabetes mellitus insipidus. Wallace v. McGlothan, United States District Court, Southern District of Indiana, Terre Haute, Indiana, October 22-24, 2007. Damages trial related to the performance of a bilateral LASIK procedure with ensuing complications. Verdict for the Plaintiff. Ms. McFadden has given multiple presentations on risk management, HIPAA, appropriate documentation and other medical and legal issues affecting the senior housing market. In addition, she has conducted continuing education unit presentations on HIPAA for various healthcare professionals. “Conflict of Interest: A Practical Approach to What You Must Know and Why,” a WestLegalEdcenter live webcast, January 2010. 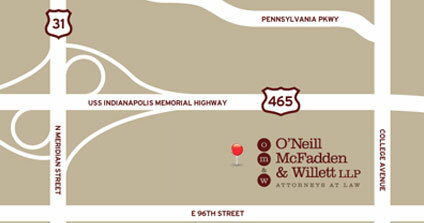 Ms. McFadden is a founding partner of O’Neill McFadden & Willett LLP. 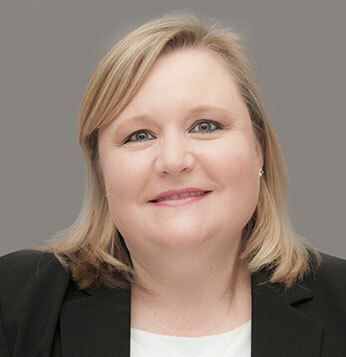 Prior to opening O’Neill McFadden and Willett LLP, Ms. McFadden practiced with Hinshaw & Culbertson LLP for approximately 5 years, working in the Lisle, Illinois office from 2000 to 2001 and in the Schererville, Indiana office from 2006 to 2010. From 2002 to 2006, Ms. McFadden was in-house counsel with Horizon Bay Senior Management, in both Tampa, Florida and Chicago. While in law school, Ms. McFadden served a year-long legal externship with the University Healthsytems Consortium in Oak Brook, Illinois, where she worked directly with in-house counsel. Prior to her legal career, Ms. McFadden worked as a staff nurse at the University of Illinois Hospital in Chicago, first in surgical intensive care, and then as part of the hospital’s Critical Care Flex Team. As a member of the Flex Team, she rotated among eight intensive care units, including neurosurgical, surgical, medical, cardio-thoracic, organ transplant, medical and surgical step-down units, and the bone marrow transplant unit. Ms. McFadden holds AV® Peer Review Rating from Martindale-Hubbell, its highest rating for ethics and legal ability.